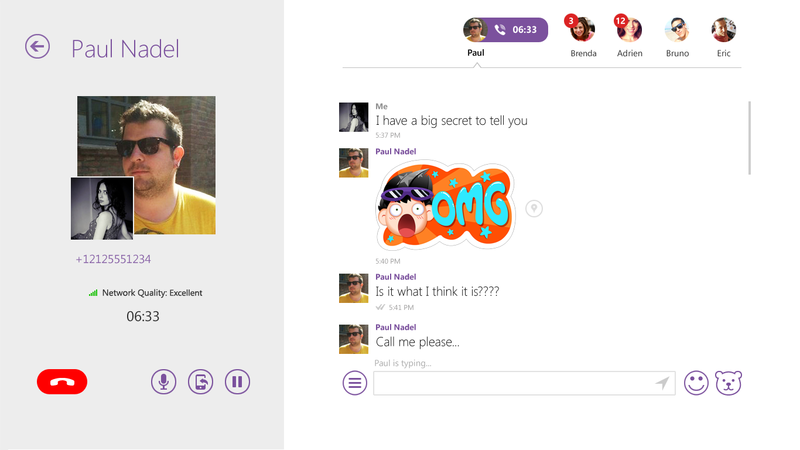 Barely a week after introducing its Skype-rivaling international calling service, Internet telephony company Viber is again busy on Microsoft turf after it launched an application for Windows 8. Viber had been a mobile-only service before it added desktop apps just over six months ago, and its dedicated Windows 8 client makes use of live tiles and lock screen notifications for Microsoft customers. 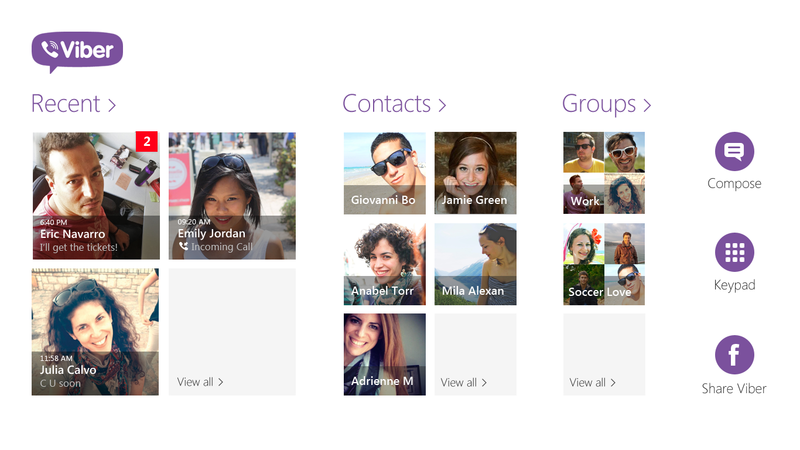 Viber takes advantage of other Windows 8 features: it can be pinned to the Start menu for easy access, snapped to the side using Snap View, while it uses Microsoft’s Search charm to look up contacts. Activity is synced across all services and clients, as you’d expect, while multilingual users will be able to set a unique language for Viber, irrespective of what their primary PC language is. This year has been a breakthrough one for messaging apps and I suspect that maintaining a desktop or Web presence will become an important differentiator in 2014. Line and Kakao Talk are others that offer desktop clients aimed at keeping users connected no matter where they are — this is remains important for many people, even though smartphone and tablet adoption continues to rise. Viber has more than 200 million registered users, and makes money by selling stickers and international calling credit.